In: KWCOE Portal Closing Date For Payment & Registration 2017/2018!!! KWCOE Portal Closing Date For Payment & Registration 2017/2018!!! The Kwara State College Of Education, Ilorin, KWCOE, has announced the closing date for students’ payment and registration portal for the 2017/2018 academic session. All students of the institution are hereby informed. Students that are yet to make their payments and complete their registration are hereby urged to do so immediately before the portal closes on the date set by the school management. See full details below. 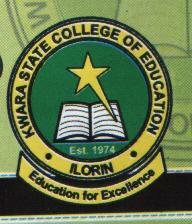 This is to inform all NCE students (returning and freshmen) of the Kwara State College of Education (KWCOE), Ilorin that the 2017/2018 academic session NCE registration will close on Friday 9th, February 2018. Hence, the portal will be closed by 10:00 pm to these categories of students for registration, paying of school fees and paying of accommodation fees.